Solid , crafted and reliable. These three words only begin to describe HCR’s newest release; the Can-Am Maverick X3 OEM Kit. 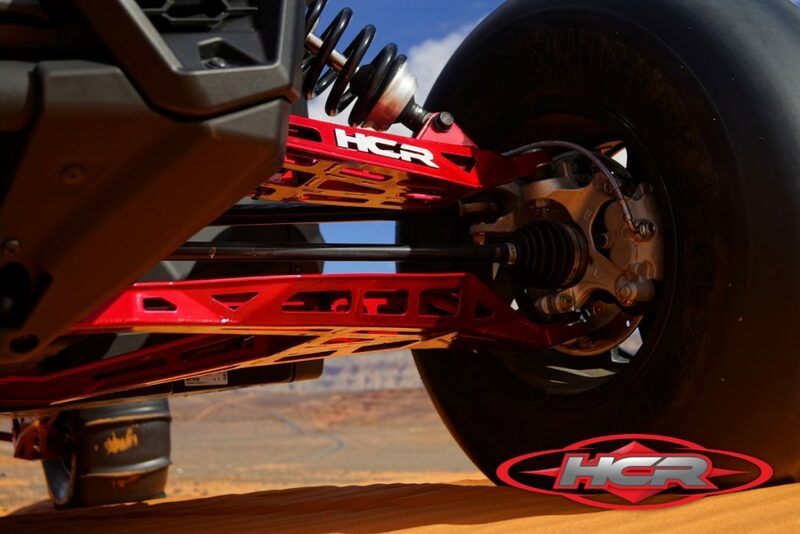 As an early adopter, HCR has helped set the standard in UTV suspension for over a decade. A once radical performance upgrade has now become the norm, driving both aftermarket and OEM’s into a new era of UTV. 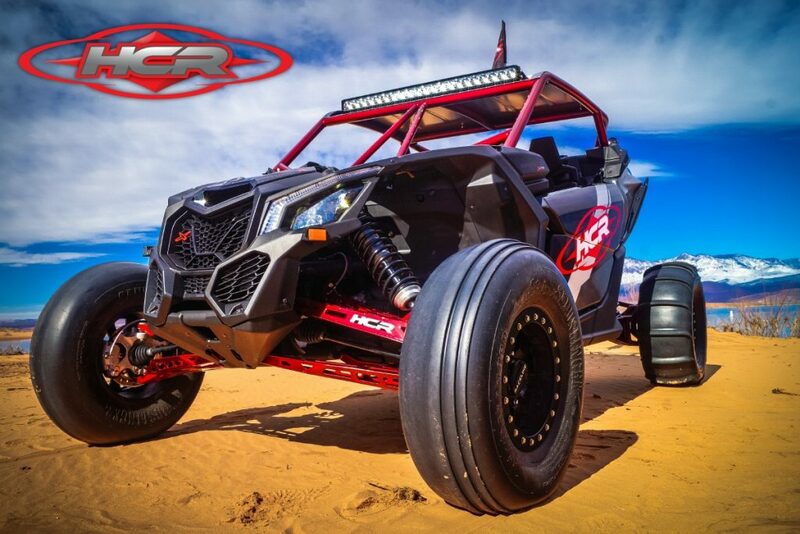 To take the already impressive Maverick X3 one step further, HCR has developed an American – made product which looks, feels and functions better than factory. 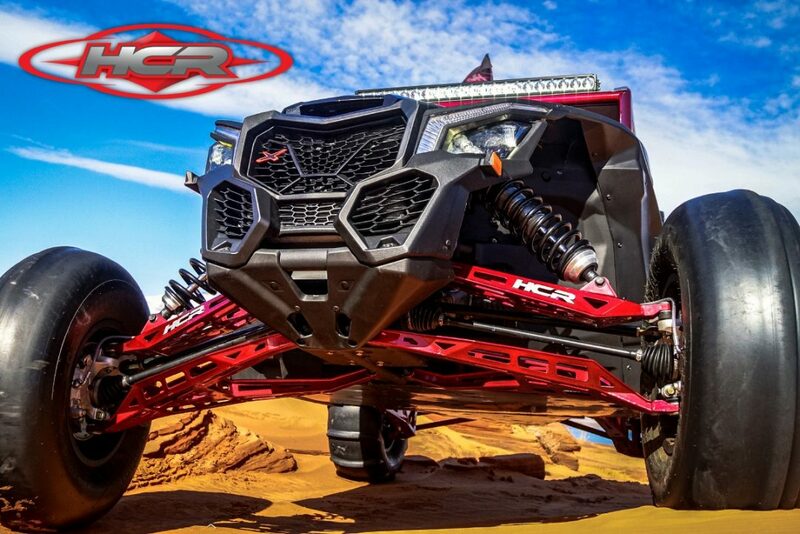 The HCR X3 suspension kit is designed as an OEM Factory replacement kit for the X RS 72″ model or can be used as a 64″ XDS Long Travel Conversion. This heavy duty replacement kit follows HCR’s blueprint of quality manufacturing, unparalleled craftsmanship, unmistakable design and distinguishing features which result in a product deserving of the HCR badge. These characteristics are what continue to underline the uniqueness of HCR. The factories limitations of cost-driven manufacturing are no match to HCR’s commitment to quality construction and processes. The end result? A product we can stand behind. 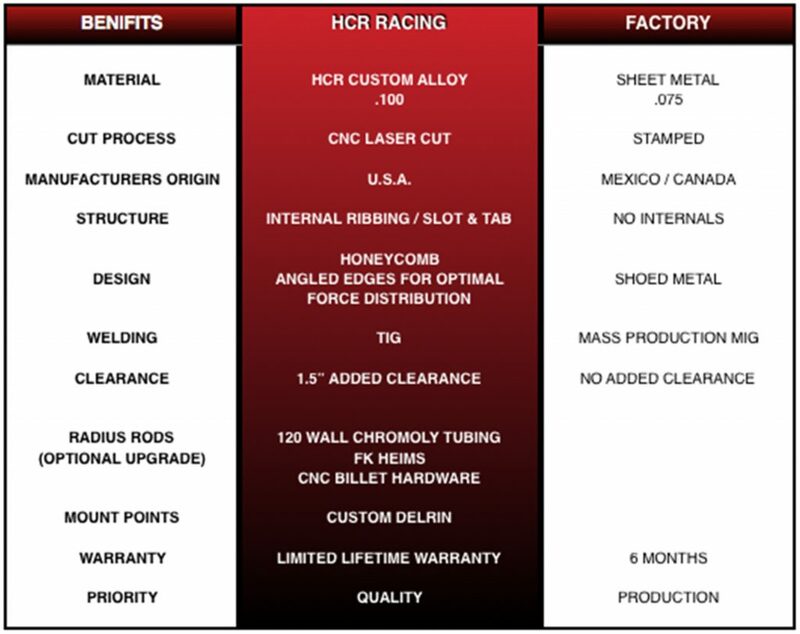 In-house engineering and manufacturing capabilities allow HCR to immediately start design and reverse engineering the moment a new model is released. With the X3, HCR improved the hollow, factory design by adding pocketing and internal structure to increase strength and durability. 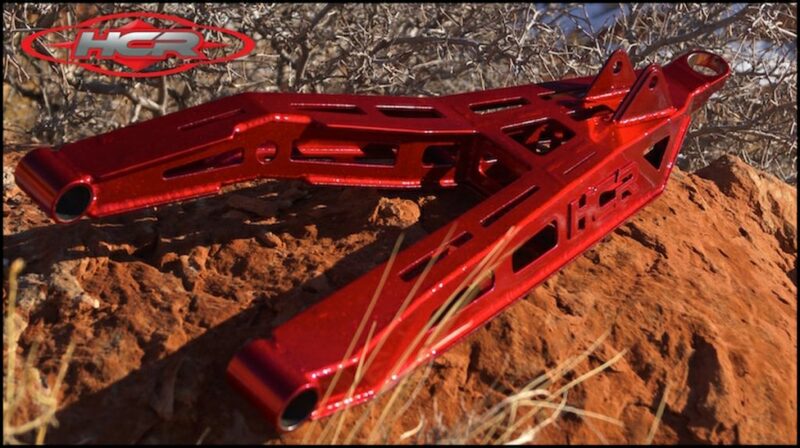 The HCR signature High Clearance A Arm and trailing arm design increases ground clearance 1.5 inches under key components. Approach angles have been improved for reduced surface attraction and friction. Both the Can Am Maverick X3 Dualsport and Elite kit are manufactured with HCR’s proprietary Elite material . 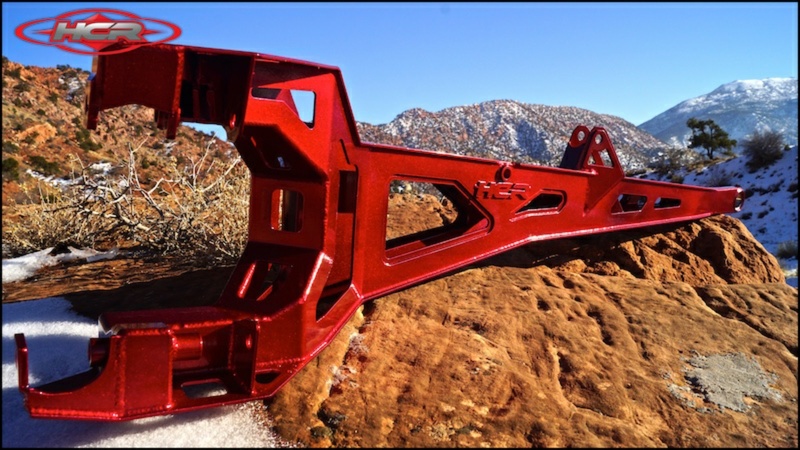 This custom alloy is 30% stronger in yield and tensile strength than 4130 Series Chromoly and goes through several processes for better wear resistance and overall strength. 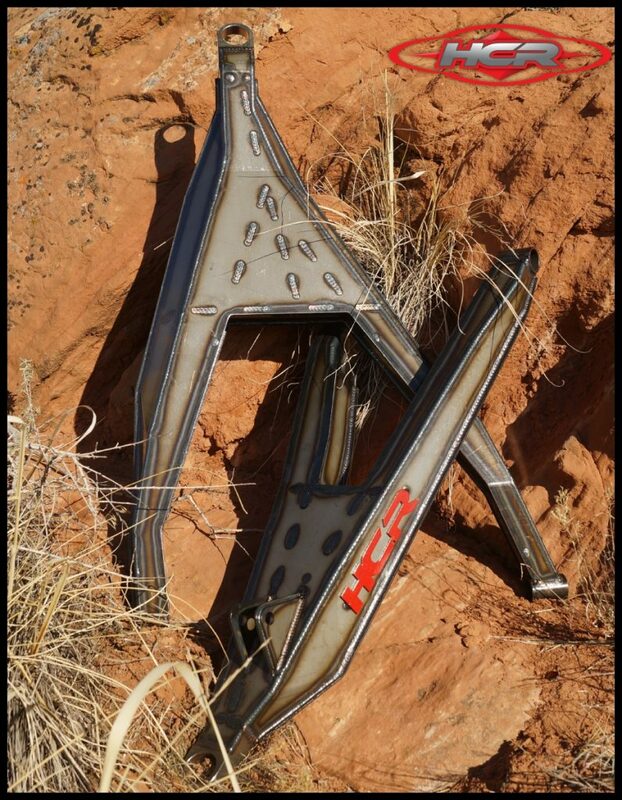 HCR Maverick X3 kits are fiber laser cut and CNC bent for accuracy and precise fit and finish. Each arm is properly fixtured and TIG welded by seasoned craftsmen for strength and aesthetics. HCR had one simple goal with the X3 kit: to create a superior product that is more effective, reliable and rewarding to you, the owner. Through intensive craftsmanship, meticulous precision and BOLD Aesthetics , we strive to make HCR your #1 Choice.